It is a trustworthy casino licensed and approved, and it´s a safe and reliable option for players to enjoy thousands games which are supplied by leading game companies. 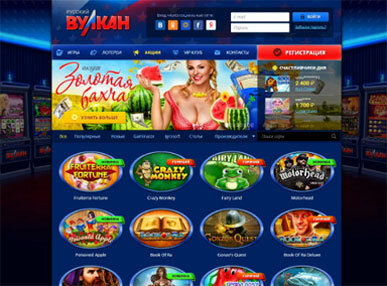 It provides a broad variety of gaming options, including slots to spin and promo codes to play for free. One particularity is that they have their own currency, the Breakout money. Breakout Casino has a smooth instant-play, user-friendly platform provided by one of the prominent companies in the world of online casino solutions, Pariplay. Players can access the site through a range of desktop computer and mobile browsers, no downloads required. Players can easily log in and start playing games immediately. Besides, the casino platform has a black and blue, ease on the eye atmosphere, plus, it’s really easy to sign in and use. If you look to the left side of the platform, there´s a menu that provides access to other important parts of the site. As soon as you sign up you´ll receive Breakout Casino´s welcome package (yes, free chips to play!). Besides, opening the casino account is rather easy and the first deposit can be made in matter of minutes. The casino offers a long list of deposit and withdrawal methods for money. Pick the currency that better suits you and avoid conversational fees. They currently offer different payment methods include Skrill, Fetypay. The minimum deposit is $10 and the withdrawal process is fast, it takes from 2-24 hours before you can start playing your favorite games. Overall, the software is certainly very player-friendly and there are no delays to block the playing experience. Breakout Casino offers a secure platform in which to play a broad variety of games and slots for different tastes. The casino counts with a large variety of promos and bonuses to broaden your chances of winning more money. It also provides the player with a wide help section to cover most common issues the player have to deal with.